Oprah Winfrey may love her some bread, but these days, she's keeping her carb intake in check. 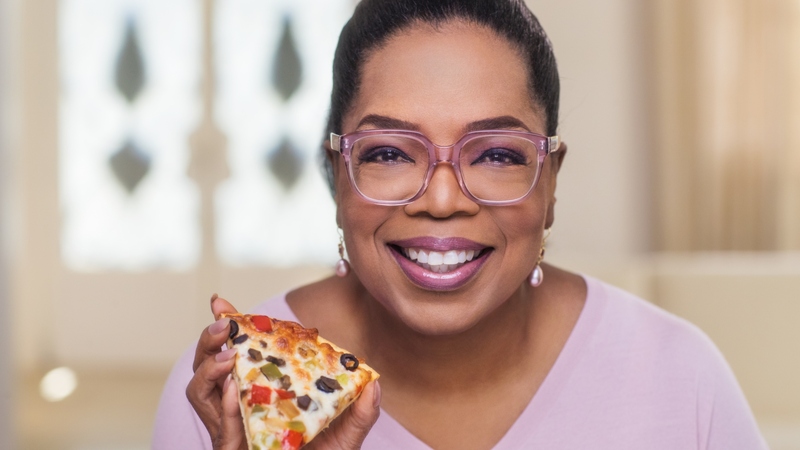 Oprah teamed up with Kraft Heinz to jump on the cauliflower pizza bandwagon, releasing her very own healthy premium frozen pizza under her O, That’s Good! brand. "Pizza is a favorite, fun and easy food to share with family and friends," Winfrey said in a press release. "I am always looking to add a nutritious twist to my foods, so we made part of the crust in my new pizza with cauliflower while maintaining that classic, cheesy pizza flavor you and your family love." One-third of the pizza crust is made with cauliflower, and the pizzas are not made with any artificial flavors or dyes. Plus, they come in four different flavors: pepperoni, five-cheese, supreme and fire-roasted veggie. According to CNBC, though, the cauliflower pizza crust contains less than a half-cup of vegetables per serving. The best part is 10 percent of the profits will go to charity to support the fight against hunger. They will be equally split between Rise Against Hunger and Feeding America. Until the joint venture becomes profitable, though, the Kraft Heinz Company Foundation also intends to make annual donations on behalf of Mealtime Stories to the aforementioned charities. Let's talk about those refrigerated soups. In case you missed it, Mealtime Stories, Kraft Heinz and Oprah Winfrey released refrigerated soups and side dishes in 2017. At the same time of the health frozen pizza announcement, they also announced an extension to the preexisting line of soups. The new flavors are: chicken with white and wild rice soup, roasted corn chowder, sour cream and chive mashed potatoes and broccoli-cheddar rice. O, That’s Good! 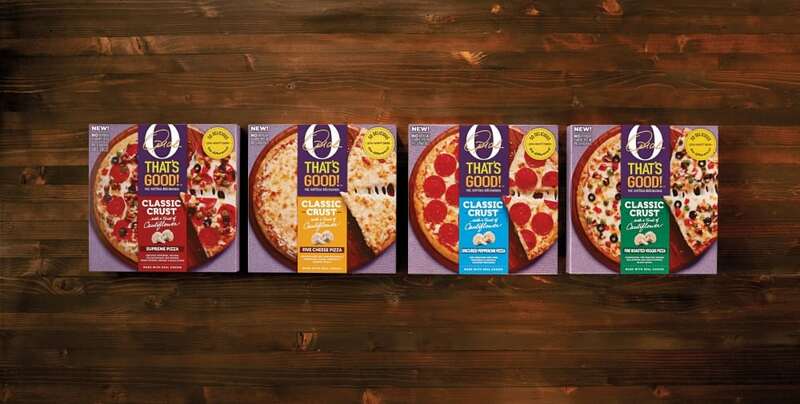 frozen pizza retails at $6.99, and you can learn more about the cauliflower crust pizzas and find out where to pick them up at othatsgood.com.